Animatrix Network: Live-Action Kim Possible Movie! [Source: GameSpot] If you were a kid in the early 2000s, you probably saw the red-headed teenager sporting a beeper and going from cheerleading to fighting crime in a matter of minutes. The show went off the air in 2007, but now, Kim Possible is getting a live-action movie, and the film made a surprise appearance at Comic-Con. Disney Channel's presentation focused on the upcoming television adaptation of Big Hero 6, Mark McCorkle and Bob Schooley are producing the show. However, they also the created Kim Possible and they're writing the new movie, so it makes sense that they had something to share about the project at Comic-Con. Sadie Stanley will portray the crime fighting teenager, and many of the original characters from the show will be appearing on the big screen. Best friend Ron Stoppable will be played by Sean Giambore, Isaac Ryan Brown will play tech wiz Wade and Kim Possible's arch enemies, Dr. Drakken and Shego, will be played by Todd Stashwick and Taylor Ortega, respectively. 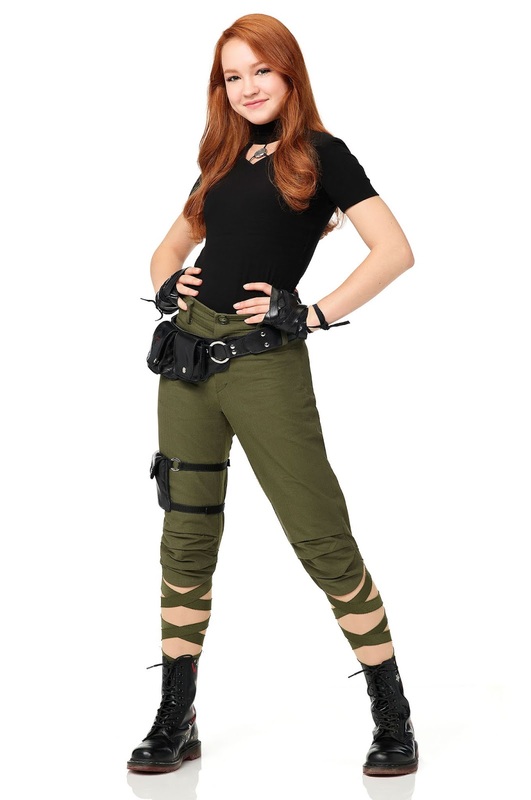 There isn't much information about the plot yet, but they did release the first photo of Stanley in costume as Kim possible and she's really rocking those combat boots.